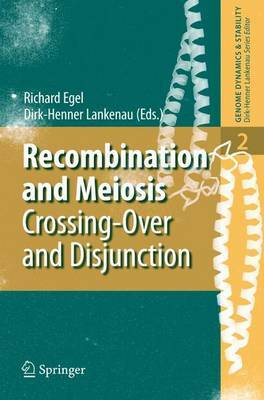 This fascinating volume addresses the processes and mechanisms taking place in the cell during meiosis and recombination. It covers multicellular eukaryotes such as Drosophila, Arabidopsis, mice and humans. Once per life cycle, mitotic nuclear divisions are replaced by meiosis I and II - reducing chromosome number from the diploid level to a haploid genome, reshuffling the homologous chromosomes by their centromeres, and recombining chromosome arms by crossing-over.